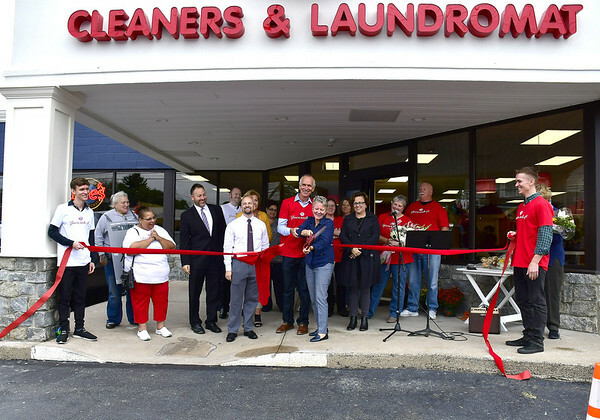 BRISTOL - City officials celebrated the grand opening of Dee’s Cleaners & Laundromat new location Friday. Owner Dee Dee Mandino has been in business in Bristol for 35 years. 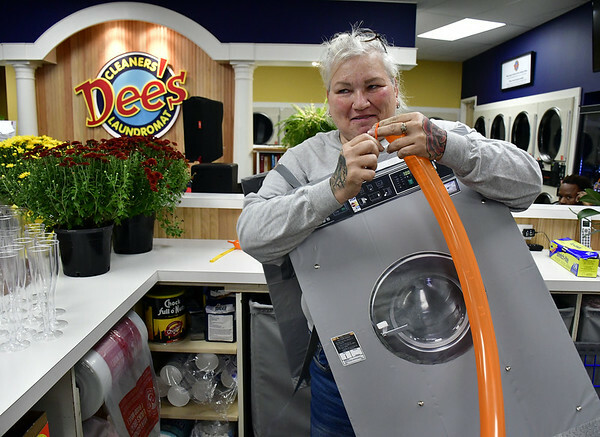 Dee’s opened at 900 Farmington Ave., with hors d’ouvres, balloons and rows of high-powered laundry machines in action. Mandino said the new location is 5,000 square feet - nearly twice the size of the old one in Bristol Plaza. Mandino credits her “great staff” for her business’s success. Mandino said laundry machines at Dee’s can handle anything from a single load to eight at once. Washing typically takes 30 minutes and drying 30 to 40. Dee’s has a lounge area with couches and a library for customers to use while waiting. Marybeth Kelmel, the laundry’s general manager, was given a bouquet of flowers by Mandino just before the ribbon cutting in gratitude for her support over the years. 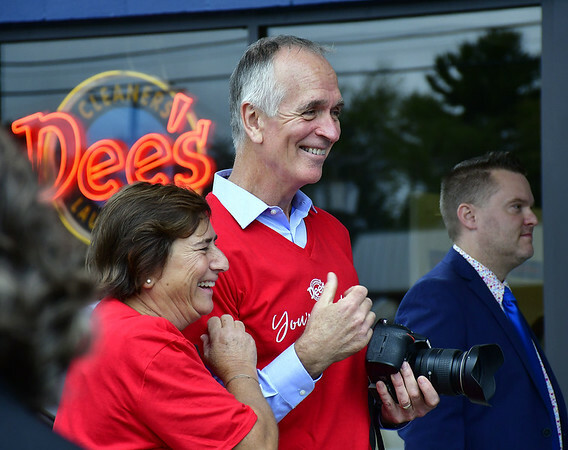 She has been with Dee’s for 25 years. “I was praying for guidance about whether or not to go ahead with this expansion and I felt like God said, ‘Build it and let people know that they are worth it to you,’” said Mandino. “It’s not like your grandfather’s laundromat,” she said. Mayor Ellen Zoppo-Sassu said she was “shocked” to see how nicely Dee’s had turned out after the new building was renovated. Posted in The Bristol Press, Bristol, General Business on Friday, 28 September 2018 20:06. Updated: Friday, 28 September 2018 20:09.